MUMBAI: At the International Broadcasting Convention (IBC), Vizrt will display tools to increase graphics and video productivity, enhance live sports broadcasts, and streamline production. IBC2013 will be held from 12-17 September in the RAI convention center in Amsterdam. Among the highlights will be new technology that allows designers to run Viz Artist with a remote connection to a powerful cloud computer. A press conference on 13 September at 8:00 am in the RAI’s news conference room will present full details of this development and other top news from Vizrt. 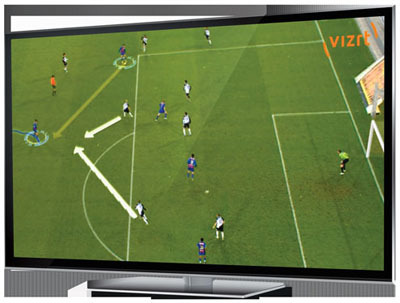 Vizrt’s real-time 3D compositing system, has increased its rendering capability beyond HD to 4k. Vizrt will display the breakthrough 4k rendering capability of the Viz Engine at the IBC show. Viewers on mobile devices, online, and on-air have the best possible viewing experience without the delay caused by transcoding. Viz Media Engine includes an extension panel to Adobe Premiere Pro CC that enables Premiere Pro users on both Mac and Windows to search and access media held within Viz Media Engine without leaving the Premiere Pro interface. With Viz Arena, broadcasters can superimpose animated 3D graphics, text, video, logos, images and animation over the live coverage of a sports event. The graphics remain in place, regardless of camera movement. The 3D graphics appear to be part of the live coverage. 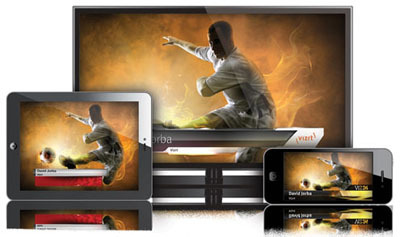 Vizrt will also display the Vizrt Online Suite integrated with Viz Media Engine. This integration gives journalists the ability to search all assets contained within Viz Media Engine from the Vizrt Online Suite CMS. MOS rundowns can also now be viewed within the Vizrt Online suite CMS. A cross-platform implementation between the Viz Media Engine and Vimond’s over-the-top TV toolset will enable broadcasters to control their video content across multiple platforms and monetise their content online.